It seems everyone is unleashing their best of 2008 lists at the moment. Unfortunately I’ve only read (slash listened to) three books that came out, in one form or another, in 2008 (The Gum Thief by Douglas Coupland, A Case of Exploding Mangoes by Mohammad Hanif (audiobook), Snuff by Chuck Palahniuk), and none of them are close to being in the top ten books I’ve read this year. Which exposes the big lie of most of these year-end lists: that the best books/music/films people have read/listened to/seen that year were all there in the new releases section. The motivation is clear: these lists help move units and solve the ‘what do I get my step-brother for Christmas?’ dilemma. But how many truly great books come out in a given year? And how many of these books were on best of lists in their given year? I blogged about it here soon after finishing the book and my opinion has not changed. Neither has my opinion of the book I compared Brodie to: The Wasp Factory by Iain Banks (A) (good but not top ten material). The Prime of Miss Jean Brodie experience encouraged me to read some more Spark (I’d read two of her novels previous to Brodie), but The Driver’s Seat was an exercise in frustration and The Comforters went soft after the first few chapters. Still, Brodie will always be a book I remember fondly, especially due to its close ties with Edinburgh. Breakfast of Champions was the first Vonnegut book I read in 2008 (perhaps my fourth or fifth overall) and like The Prime of Miss Jean Brodie, it encouraged me to read more of this author. I think, upon reflection, Cat’s Cradle was my the favourite of the 2008 batch (others in order of appreciation: Galapagos, Hocus Pocus, God Bless You Mr Rosewater). I’ve mentioned it here a couple of times this year, but it’s KV’s voice that gets me, and it's there in all these books. Breakfast and Cat's Cradle are just that bit more memorable in terms of plot and inventiveness. Another short novel (so far, only Breakfast of Champions was over 200pgs, and that included illustrations), but the behemoths are coming. Not that Who Will Run The Frog Hospital felt light in any respect. Tight without being stingy. Witty without being cynical. Elegiac without being morose. Moore walks many a sharp edge and the result is a book I will read again. I had read ‘City of Glass’, the first novella in the trilogy, before this year, but (inexplicably) never got around to reading the next installments. So when I got ahold of the book in 2008, I read ‘Ghosts’ and ‘The Locked Room’ and then returned to ‘City of Glass’ which leads off the collection. Auster is a seriously smart man, and sometimes the strings of his smartness show, but I can always forgive the slips for what he says about the acts of writing, reading and living. I also read The Brooklyn Follies (A) this year, and liked it until the end, at which point its significance sort of dissolved, rather than crystallised. I’d studied Coeztee at university and found him too stark, too academic, but Disgrace was a revelation. 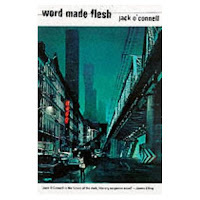 Perhaps it was the short time I spent in South Africa last year, or all the mongrel dogs I saw as I listened to the audiobook on the walk to work, but this was a book I connected with. I love the way it insistently tackles the questions at its heart, but never truly resolves them, and never devolves into polemics. The first longer novel on the list (the audiobook was 21 CDs). This will be another novel forever linked to my time in Edinburgh (I blogged about my listening experience here). Complex and riddled with intractable questions, but frequently funny, always inventive, and, most important, interesting. 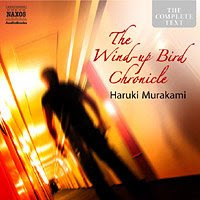 I went on to listen to A Wild Sheep’s Chase (A) a few months later, which now reads like a dress rehearsal (in terms of themes, character, narration, you name it) for Wind Up Bird. Another fatty which I listened to while filing in my third best (read: worst) temp job in Edinburgh. It took me a while to get over Franzen’s showy, almost smarmy style, and longer still to warm to it and his characters, but I got there in the end. Not quite the era defining doorstop it hopes to be, but despite all the backhanded compliments, this book refuses to be left off this list. I remember over at the Millions earlier this year when a teacher asked if this book would be suitable to teach in his high school English class and someone said no. Not because the book is bad, or difficult, but simply because you really need to have worked in an office (perhaps any sort of full time work) to get the most out of this book. Some of the plot towards the end was a bit “first book” (I hate myself for using that term and those quotation marks, but whatever), but the third person plural narration is genius, and more importantly, executed so that doesn't stand out like a genius idea. Did I mention it was funny? Probably the funniest book I read this year. Okay, so I’ve only just started reading this book, but sometimes you can just tell. Like, if you think about slowing down so you can savour each page, that’s a good indication. If you think about actually buying a copy (mine’s from the library) so it can be the book you take around the Americas with you, that’s another sign. Something tells me I don’t have to worry about the ending messing anything up (see Brooklyn Follies). 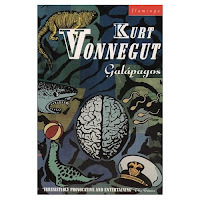 Perhaps it’s Kurt Vonnegut calling it “The Great Gatsby of my time” on the front cover. So that’s ten. There’s a second tier of books which I would recommend people read, but for some reason they just didn’t squeeze into the top ten. For example, I really enjoyed George Saunders’ The Brief and Frightening Reign of Phil / In Persuasion Nation (which I read in the single UK edition ----> ) and his earlier short fiction collection Pastoralia, but they kind of cancelled each other out. Then there was Never Let Me Go by Kazuo Ishiguro (A), which I had in my top ten for a while until I remembered Joshua Ferris. It seemed to have everything—strong, believable narrative voice, interesting premise explored with restraint—but it fell off at the end (again). 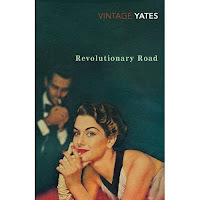 Sometimes, books suffered by comparison to the one I had just finished or was reading concurrently (see Wasp Factory). Sadly for Lloyd Jones, I read Mr Pip after Then We Came To The End. Whereas I shared the office experience of the latter, I didn’t share the love of Great Expectations with the former. Then there were books that were good, but paled in comparison to their author’s best work (see The Names by Don DeLillo, The Crying of Lot 49 by Thomas Pynchon). This list excludes poetry (I’ll post about the Scottish Poetry Library, again, next week), and literary journals. If I did not appear in The Best NZ Fiction Volume 5 I would have put that in my top ten by virtue of it being The Best Reading Experience of The Year. Compiling this list has really bought home how much I’m looking forward to returning to NZ and diving head deep into some local literature. A couple of years ago I was lukewarm on NZ fiction, and stone cold on NZ poetry / all poetry. Things change, eh? Call it what you will (maturity, homesickness, brainwashing), but next year’s list will look quite different. Okay, so there are only two female authors in my top ten, but this is a vast improvement on a couple of years ago. Making boys read Jane Austen before they’re ready probably does more harm than good. Again, it’s a maturity thing. You can keep your Couplands and Palahniuks, give me more Lorrie Moore! Three of the top ten were consumed as audiobooks. As I’ve said before, reading and listening to books are different experiences but in the end, you should still be able to say you’ve ‘read’ The Corrections or whatever. If it weren’t for audiobooks, I would have read a third less books this year than I did. It’s something I’ll continue to do as long as I have my hearing. Until recently I was always guarded about I'm reading certain books. Not that they were embarrassing in guilty pleasure kinda way, but that, as someone who claims to be an aspiring writer, I had only j ust read Kafka's Metamorphosis or the biggest book to come out of NZ in the last decade (see Mr Pip). But I'm learning, slowly, not to take myself so seriously. There are more books out there that you absolutely must read than you could physically read (and/or listen to) in a lifetime, so you gotta get selective. Sure, you'll make a bad decision here and there, but the fact no two bookish people have read the same books is what makes that booky conversation tick. Finally, given this site is all about me trying to write a lot of words, it’s probably worth reflecting how the above reading list impacted, if at all, on what I wrote in 2008. The story I’m working on now may or may not sound a bit like Who Will Run The Frog Hospital. I can’t tell, I’m too close to it at the moment. When I was doing my hundred word stories (November experiment) I often found myself starting in the third person plural, so maybe that was Joshua Ferris coming through? But that's all I can really think of. When I was younger I found it difficult to writ e and read at the same time. Well, not simultaneously, that would be extremely difficult—but to be halfway through a book and in the midst of writing my own story. I remember once trying to write a workshop exercise while reading Huckleberry Finn and producing this kind of Southern-inflected voice. 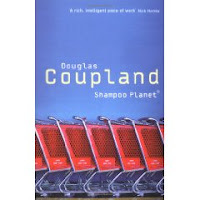 Another time, I gave Marisa a copy of Shampoo Planet by Douglas Coupland and she said, “It sounds like the stuff you write” (or something like that). Now, after years of practise, it’s easier to sit down and write in the voice I intend, rather than unintentionally mimicking someone else. I think. Part of that is actually reading more than I did, say, six years ago. Being used to different voices in my head than my own. That’s why I’m glad I’ve gone through and done this summary. Because a) there’s no way I’d be able to remember all of this in a couple of years, b) it acknowledges the important though difficult-to-place role reading has played in the Year of Eight Hundred Thousand Words, c) this summary itself constitutes 0.25% of my yearly wordcount. As Tesco's are constantly reminding me: Every little helps. Did you know you can shorten your urls with Shortest and get money for every visit to your shortened links. The drum roll has begun.